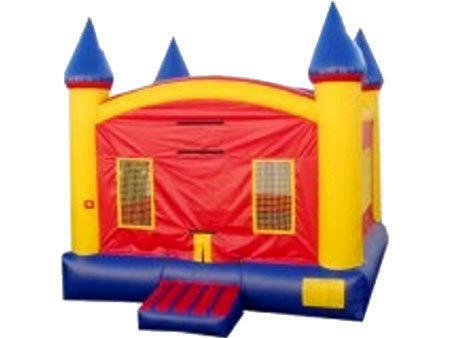 This classic castle design bounce house is the original that started the bouncer craze. Perfect fit for a royal party for the king or queen with over 200 sq. ft. of bouncing area. 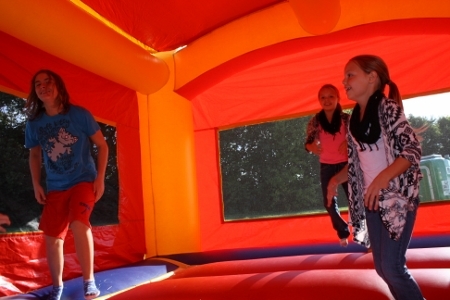 This large brightly colored15ft x 15ft bounce house rental features a large bounce area, 4 giant castle spires at each of the four corners, and large netted vent windows all around to give parents a clear view to activities inside. There's also an inflatable safety ramp at the entrance to protect excited children as they enter this awesome castle bouncer. 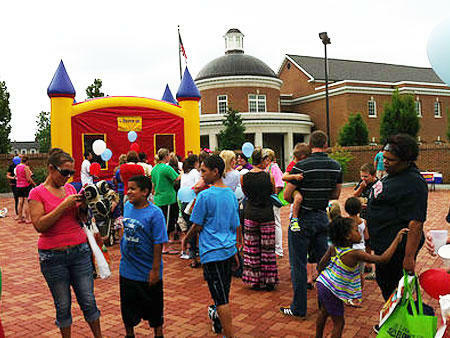 Reserve The Castle Bounce House Today!